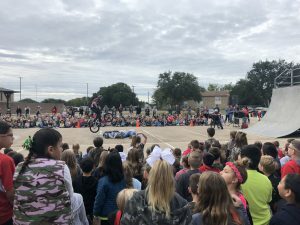 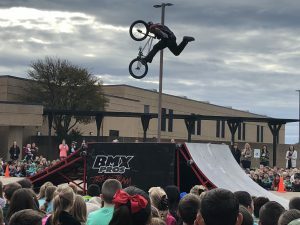 GRES and GRIS kicked off Red Ribbon Week with a visit from the BMX Pros Trick Team. 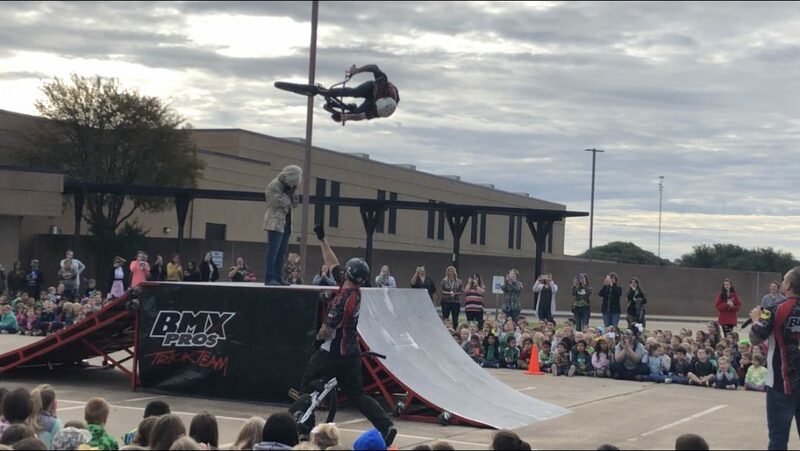 The team shared some bike safety tips and show the students that they can be their best by staying drug free. 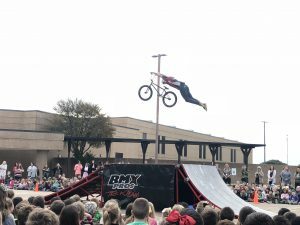 They also performed some cool tricks right over the top of a few teachers (Bieler, Flippen, Davis, and Lane), as well as over the head of Mrs. Morris, the elementary principal.